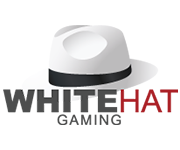 White Hat Gaming Limited operated by is one of the leading platforms provides white-label solutions and API infrastructures for exiting operators. New operators can use various services provided by White Hat Gaming such as conetnt management, customer support, VIP management & player retention, web hosting, web development, payment processors and remote gaming licenses in Curaçao and in the United Kingdom. White Hat gaming provides various games from different leading games providers including include NetEnt, NYX Interactive, NextGen, Leander, BetSoft, Thunderkick, Ezugi, High5Gaming, Elk, Quickspin, 1x2Gaming, 2BY2 Gaming, WHG Bingo, WHG Casino and igaming2go.